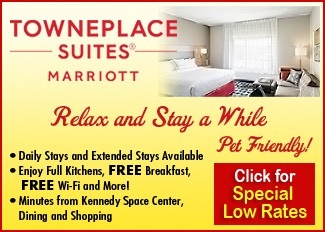 Start your day off right with our free deluxe continental breakfast and coffee in our lobby. 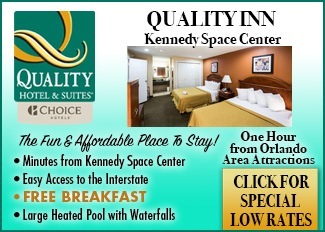 Stay connected with free wireless high-speed Internet access in all guest rooms and common areas. Enjoy a cocktail at our newly renovated High Point Lounge. Take advantage of our meeting facility and business center. Appreciate the convenience of our guest laundry facility. Enjoy the privacy and comfort of your own guest room featuring amenities including a microwave, mini-fridge, hairdryer, coffeemaker, cable TV with ESPN and Showtime, free local calls, and wake-up service. Irons and ironing boards are available upon request. Spacious parking available for boats in tow in addition to bus and truck parking. Sorry, no pets are allowed. 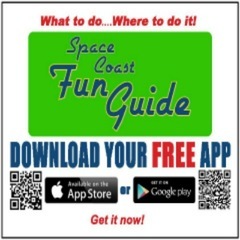 Spend a day at the nearby Kennedy Space Center Visitor Complex. 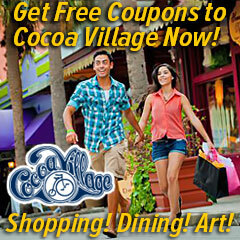 Shop at the Historic Cocoa Village, Merritt Square Mall, and Ron Jon Surf Shop in Cocoa Beach. Explore the natural beauty of Cocoa with Calypso Kayaking Tours, Florida Horseback Trail Ride Company, and Cocoa Beach. Take part in the local festivals including the Space Coast Art Festival, Cocoa Village Mardi Gras Festival, and the Easter Surfing Festival. Enjoy a delicious meal at one of the several restaurants located close to the hotel including Gaskins Family Diner, Chaparral Mexican Grill, and Old Florida Grill and Oyster House. At Americas Best Value Inn Cocoa/Port Canaveral, We’ve Got You Covered from the time you hit the road until your head hits the pillow.